DEWA’s summer camp is open to all citizens and residents between the ages of 12-15, and will be held from 7-18 August 2016 at DEWA’s Reading Tent, which is located at Gate 2 of Zabeel Park. The camp features a host of activities and entertainment programmes, to prepare children for a promising future career, while developing their technical skills, and encouraging research by students, to harvest a new generation focused on science and technology. “This supports the National Innovation Strategy, launched by HH Sheikh Mohammed bin Rashid Al Maktoum, Vice President and Prime Minister of the UAE and Ruler of Dubai, to position the UAE as one of the most innovative countries in the world, and the Dubai Innovation Strategy, launched by HH Sheikh Hamdan bin Mohammed bin Rashid Al Maktoum, Crown Prince of Dubai and Chairman of the Dubai Executive Council, to make Dubai the most innovative city in the world. DEWA’s summer camp enhances social development and instills a culture of innovation among the future generations of the UAE. The camp will play a major role in developing the skills and abilities of children in different aspects of electrical and mechanical engineering. 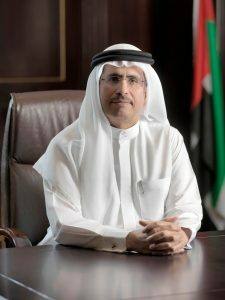 It will also include a number of programmes and educational workshops that will provide children with the required skills and information, said HE Saeed Mohammed Al Tayer,” MD & CEO of DEWA. Children will be exposed to the fundamentals of electricity, from a range of topics including Ohm’s Law, Kirchhoff’s Circuit Laws, electricity and power and how they are measured, and semiconductors such as diodes and transistors. Children will also be instructed on how to build several types of electrical circuits in the safest way possible. DEWA’s summer camp will also educate children on the different applications of integrated circuits, using timers, and other more advanced concepts such as digital circuits. DEWA will provide children with certificates of appreciation for their participation and good behaviour, in addition to a number of valuable prizes.